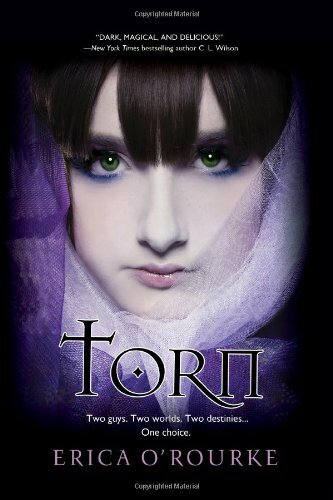 Today I have Erika O'Rourke, author of Torn, here to give us a look into the book. She's given us a little extra excerpt from the book's main character, Mo. Mo is quite a fiery and loyal friend. I truly loved her. Take a look at her inner thoughts as she battles with what has just happened. This was supposed to be our best year ever. Verity and me, seniors, our last hurrah before we escaped to New York and started fresh. No more whispers about my family. No more pitying looks. Verity and me, with the world at our feet. I’ve never liked the spotlight, but now everyone’s watching me: the Chicago Mob, the police, and especially Colin, my new bodyguard. But I’m watching Luc, the guy I just met, who says he knows the truth about what happened to Verity. He’s not talking now, but he will. Because I’m going to find out who killed my best friend, and I’m going to make them pay, no matter what it costs. Mo Fitzgerald knows about secrets. But when she witnesses her best friend’s murder, she discovers Verity was hiding things she never could have guessed. To find the answers she needs and the vengeance she craves, Mo-quiet, ordinary, unmagical Mo-will have to enter a world of raw magic and shifting alliances. And she’ll have to choose between two very different, equally dangerous guys-protective, duty-bound Colin and brash, mysterious Luc. One wants to save her, one wants to claim her. Which would you choose?